Having walked Greene Avenue for the most part, alternating with Bleecker Street, through Ridgewood, I decided to continue on Greene westward past Broadway, the undefended border of Bedford-Stuyvesant and Ridgewood, and eventually stagger to the G train, which connects with the #7, which connects with the Long Island Rail Road, which connects with my home in Little Neck. I can be blindfolded, stuffed into the rear hatch of a car, driven around for hours, dumped out and can figure my way home from wherever I find myself: this comes from over 40 years of studying every NYC map I could lay my hands on for over forty years. 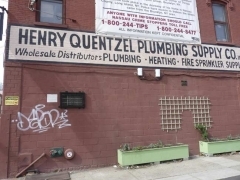 The first Brooklyn map I ever had was purchased for me at the old Gertz department store in Jamaica, Queens in 1968, as I went with my parents where my father was searching with a massive wall unit to house his tape recorder collection and reel to reel tape collection. He later switched to cassette tapes as was a spassionate about his tape recorder and camera hobbies as I am about the hidden and forgotten aspects of New York City. Bedford was a very old Brooklyn farming community first settled in 1677 by British governor Richard Nicolls, who founded the settlement at the junction of two former Indian trails. After the Revolutionary War it was gradually divided into lots and houses began to appear, though the farmland hung on in areas till after the Civil War. 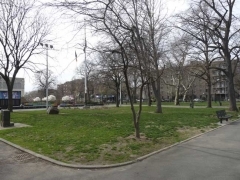 The Lefferts family were prominent residents; by 1838 the Lefferts had sold the land later known as Weeksville to free black Henry Thompson, who soon after sold it to James Weeks. 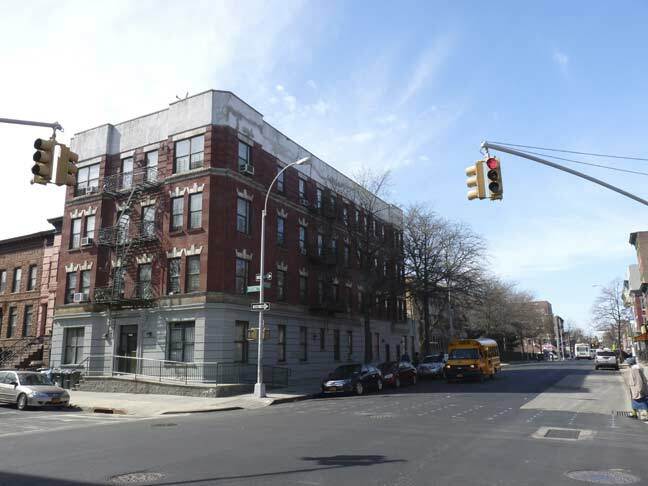 The opening of the Brooklyn elevateds on Lexington and Myrtle Avenues in the 1880s provided a whole new building boom; the last two decades of the 19th Century and first two of the 20th gave rise to the vast area’s distinctive brownstone architecture. The coming of the IND subway in 1936 increased the population, as well as emigration of African Americans from the Southern USA as well as immigration from the Caribbean. 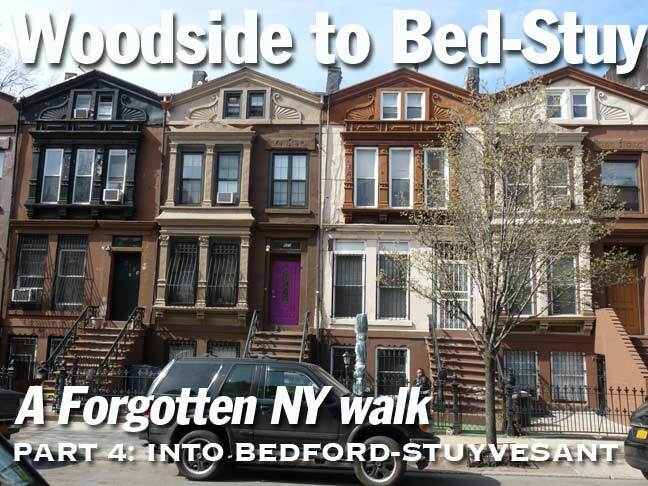 Gradually Bedford and the neighboring community to the east, Stuyvesant Heights, were referrred to as one large neighborhood, Bedford-Stuyvesant, which today stretches from roughly Washington Avenue on the west to Broadway on the east, and from Flushing Avenue on the north to Atlantic Avenue in the south. 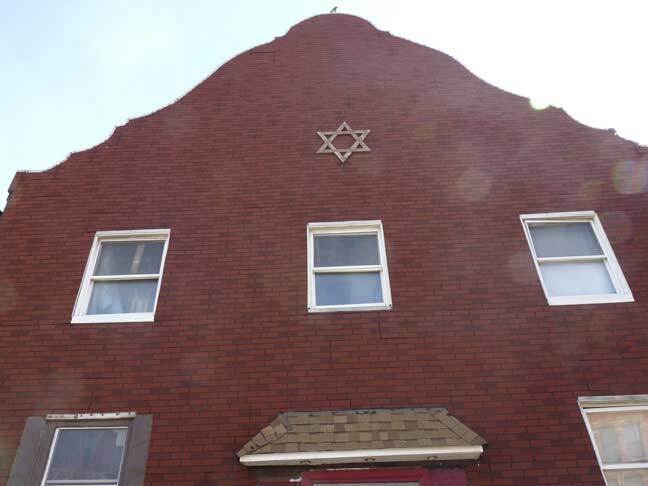 I discovered one of Bedford-Stuyvesant’s few remaining synagogues, B’Nai Adath Kol Beth Yisrael, at Greene and Patchen Avenues. 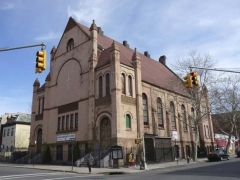 The congregation was founded in 1954 on Lenox Avenue in Bedford-Stuyvesant and moved here to 1006 Greene ten years later. 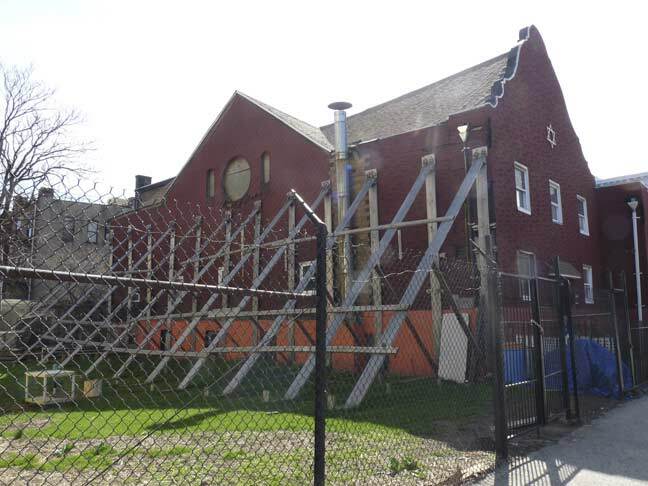 Unfortunately, the building is in a state of disrepair and the congregation has to meet in the basement. 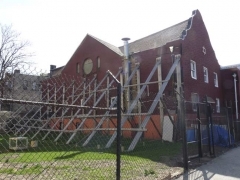 Primarily constituted of African-American Jews, the synagogue need to raise millions to effect repairs, but hasn’t been able to obtain assistance from the nearby Satmar and Lubavitch communities. 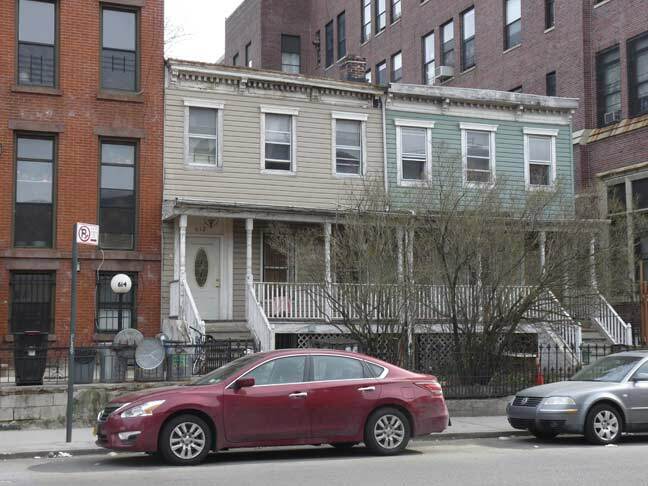 While much of Bedford-Stuyvesant’s housing stock consists of attached row houses of varying age (1880-1910), there are a few leftovers from an earlier time, like this small house with an addition on the left. It features Ionic-style porch pillars and a single dormer window. 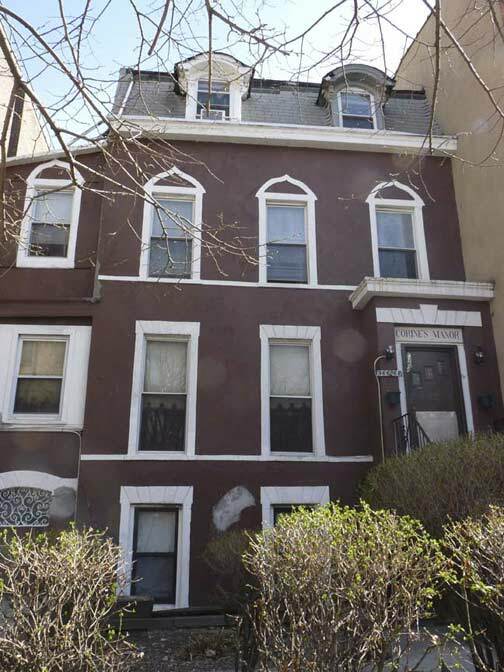 This house, titled “Corine’s Manor” at #966-968 is a French Second Empire style building, a style from the 1870s that featured slanted roofs called mansards and more dormer windows. 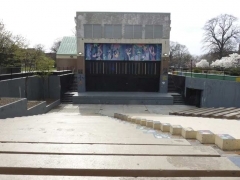 Malcolm X Boulevard was named for the slain civil rights leader in 1985. It was formerly called Reid Avenue, for mid-19th Century landowner and attorney Philip Reid, a friend of William Howard Jr, whose father William Howard was forced by the British, along with Howard Junior, to trailblaze a path for them through what is now Evergreens Cemetery in 1776. 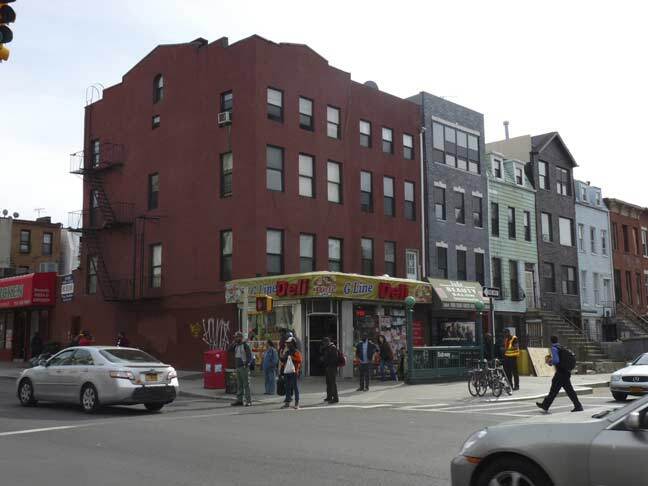 Howard Senior was the scion of the Howard family that ran a tavern along the Jamaica Road (now today’s Fulton Street and Jamaica Avenue) called the Halfway House or alternately the Rising Sun Inn. 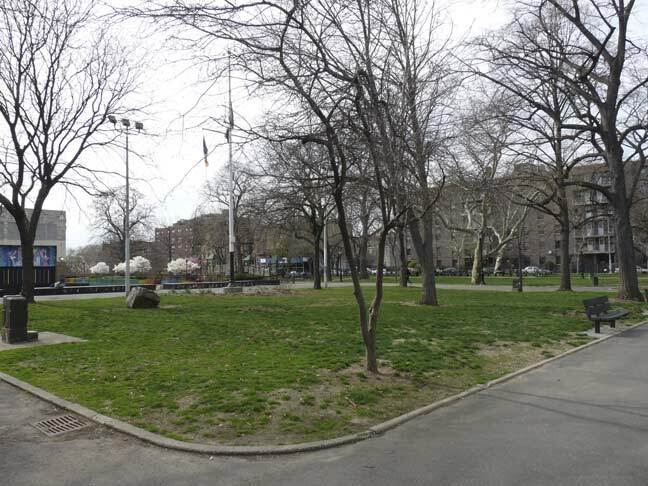 Though they were sympathetic to the colonists’ cause, the Howards were forced by General William Howe to guide the British over the high ground, and they made their way to what is now Park Slope, where they routed the patriots in the Battle of Brooklyn. 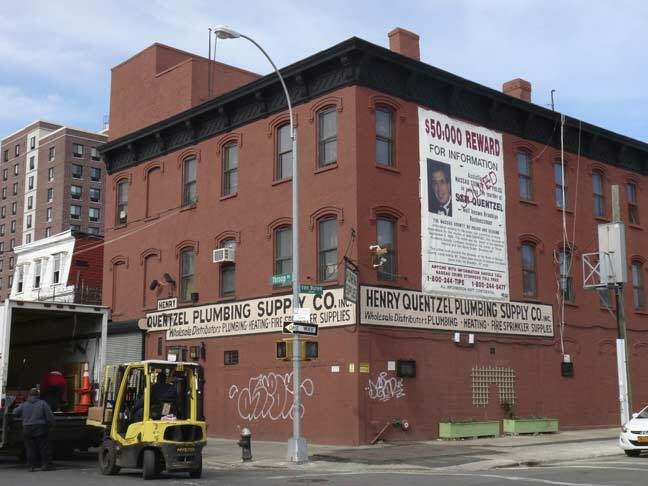 Philip Reid arranged for the sale of the Howard peoperty to the new Evergreens Cemetery in 1849, and Howard Jr. was interred in 1853 on land overlooking the subway yard that stands where the Halfway House once did. 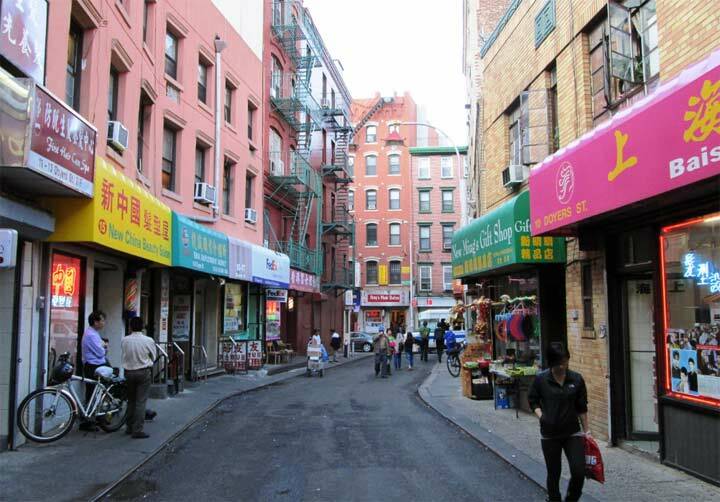 Howard Avenue is also a prominent thoroughfare in Bedford-Stuyvesant. 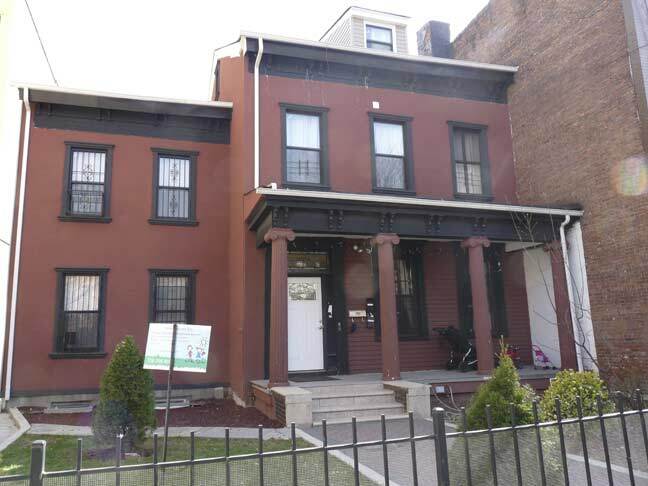 Another break from the attached row houses is #903 Greene, west of Malcolm X Boulevard. It appears to have had some recent work done. It has a unique circular entrance pediment supported by Doric columns, convenient for rainy days. Note the ‘cap’ on the corner turret and single dormer. 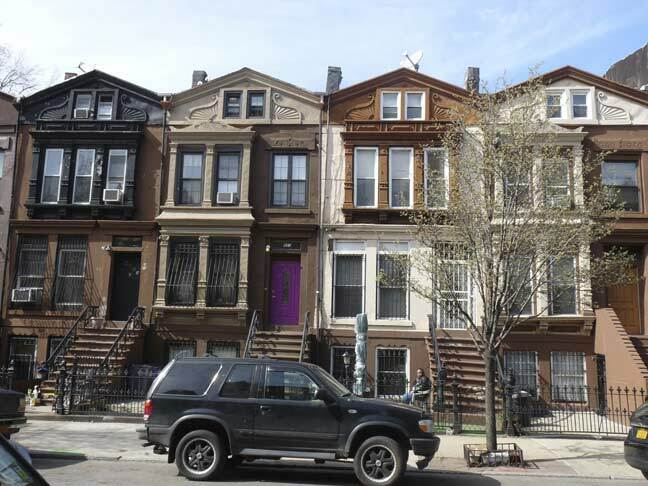 A group of classic attached brownstones approaching Stuyvesant Avenue. Antioch Baptist Church, formerly the Greene Avenue Baptist Church, was built from 1887-1893 between Stuyvesant and Lewis. 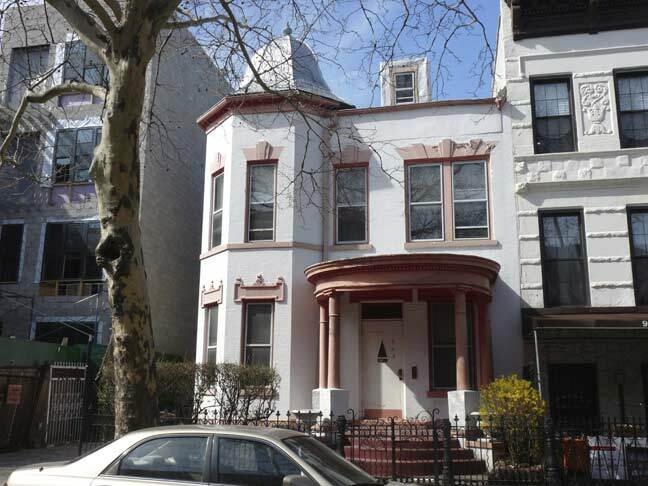 It is a combined Romanesque Revival with eclectic elements that also make it a Queen Anne. The church was built to fit in well with the surrounding existing attached houses. 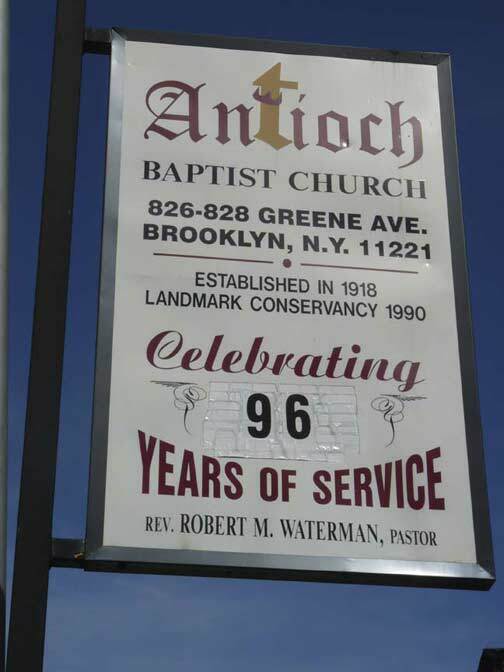 Though Antioch moved in in 1950, the church was founded in downtown Brooklyn in 1918. The church was made an individual landmark in 1990. 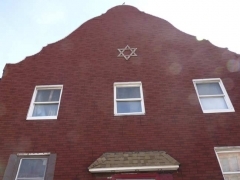 Views of One Hanson, as the Williamsburg Bank Tower is now known, are available from all over northern Brooklyn and as we’ve seen in Part 1 of this series, in western Queens as well. It used to be the tallest building on Long Island, but has now been surpassed a few times and is no longer Brooklyn’s tallest. 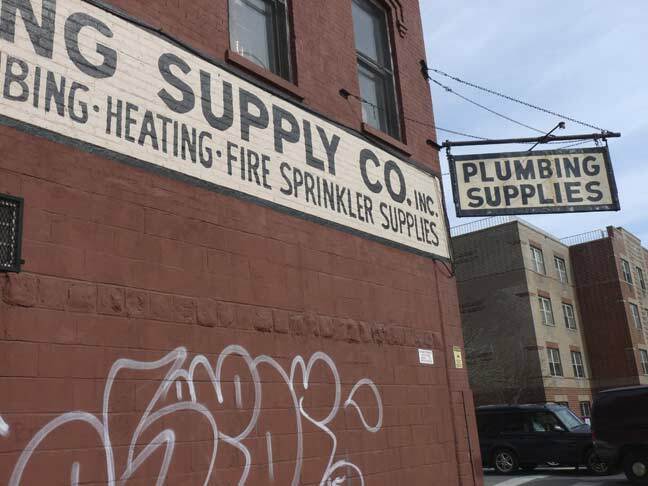 Nevertheless, to me it’ll always be the King of All Brooklyn Buildings. It was completed in 1929, beating the Chrysler by a year and the Empire State by two. 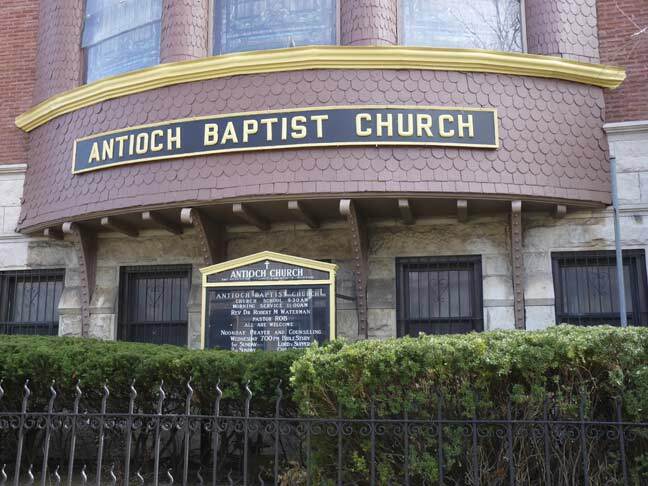 A group of attached houses across the street from the Antioch. Some of the window bays have had their distinctive paneling stripped away but the handsome roofline decorations are still intact. 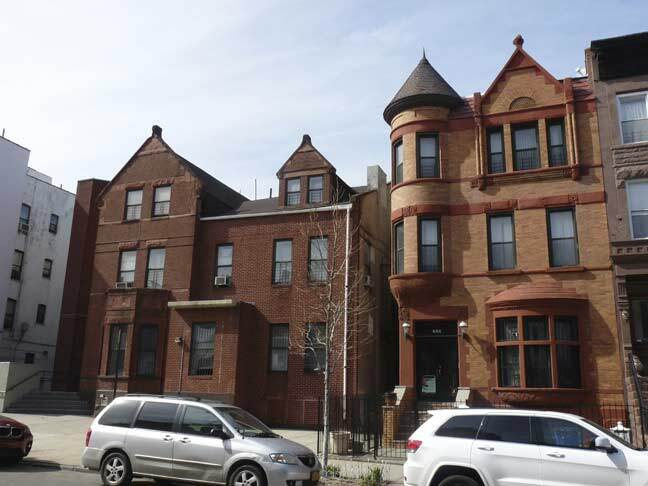 A pair of Romanesques at #767-769 between Lewis Avenue (Dr. Sandy F. Ray Boulevard) and Marcus Garvey Boulevard (formerly Sumner Avenue). 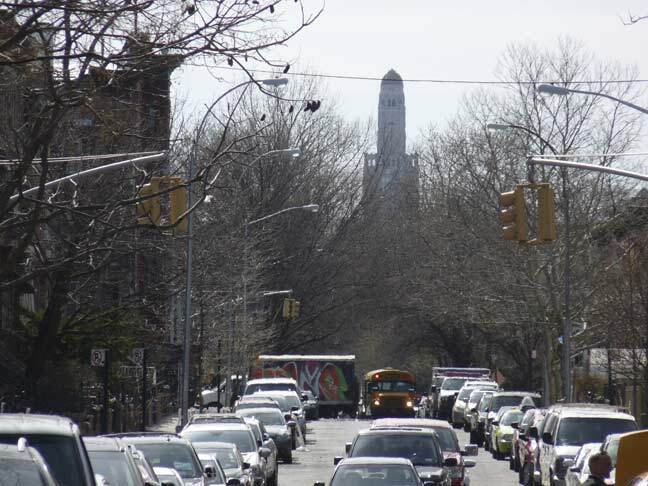 Lewis Avenue was named for Morgan Lewis, the son of Declaration of Independence signer Francis Lewis (for whom Queens’ longest boulevard was named); Lewis served as NYS Governor, among other positions. 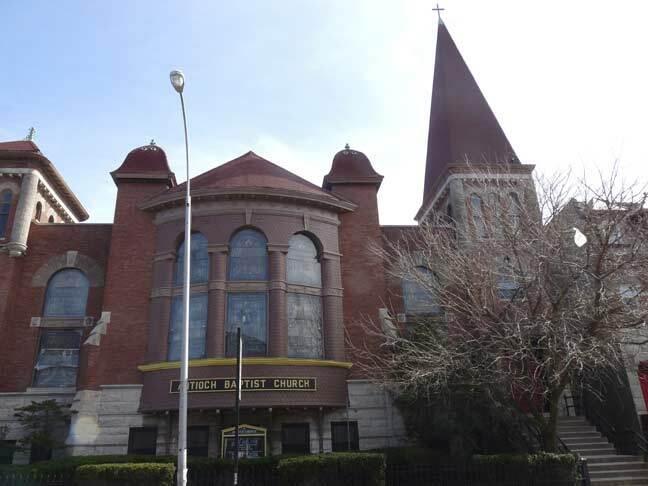 Sandy F. Ray was the pastor of Cornerstone Baptist Church in Brooklyn, New York from 1944 until his death in 1979. 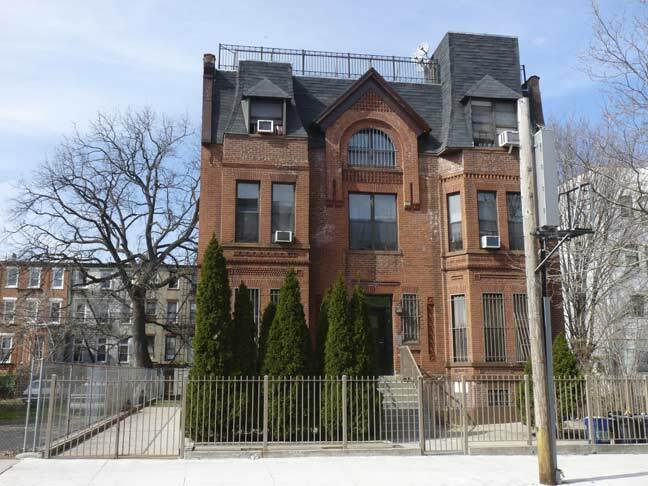 A bit further west on Greene is #751, the DeBevoise Mansion, built in 1888 by Isaac DeBevoise, a scion of an old-line Brooklyn family whose ancestors arrived in Kings County in the 1600s. Look closely at the Romanesque buildings and you’ll see a lot of period detail, like the arched window, dormers, pediment terra cotta pattern and the flower at the front entrance. Note also that around here, you need bars on the windows. Montrose Morris has more in Brownstoner. A few doors down. 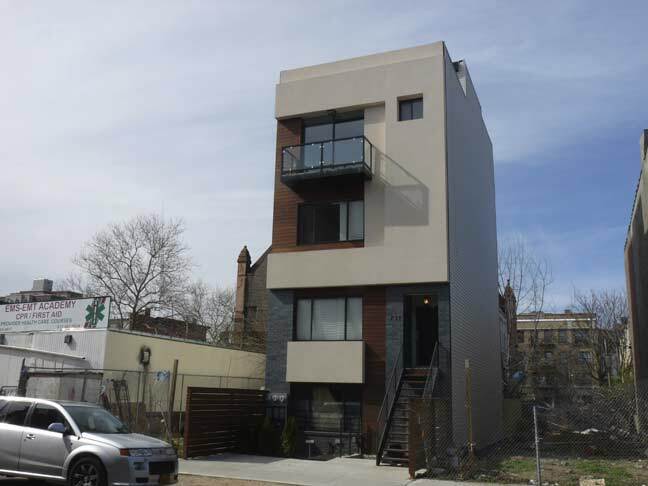 I don’t mind modern design — unless we’re talking about Fedders Specials — but it has to be contextual and fit in with neighboring buildings, which this decidedly doesn’t. 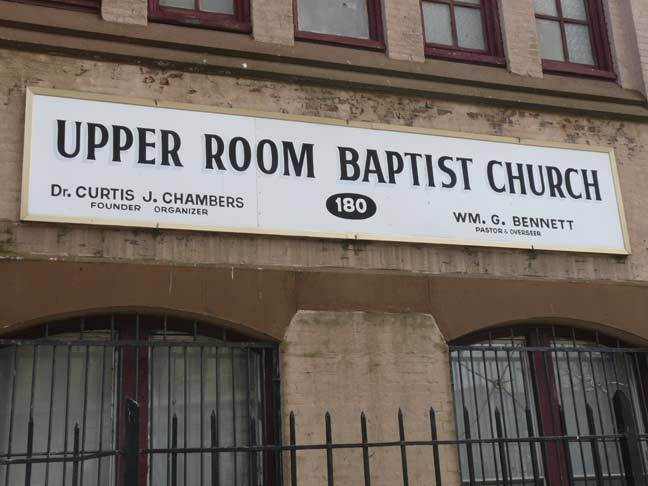 Upper Room Baptist Church, Marcus Garvey Boulevard and Van Buren Street, was built in 1888 as the Sumner Avenue Baptist Church. 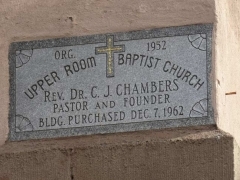 The present congregation was organized in 1950. 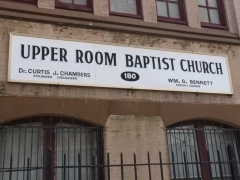 The “upper room” refers to a room in a house in Jerusalem where, according to the gospels in the New Testament, Jesus and his apostles met for the Last Supper and also a final meeting after his resurrection. 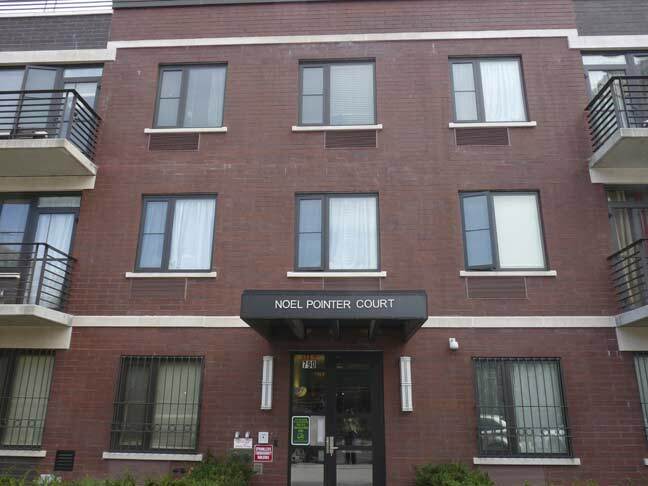 Turning onto Lafayette Avenue, between Garvey Boulevard and Throop Avenue is a new apartment building named for Noel Pointer, a famed classical and jazz violinist (1954-1994). 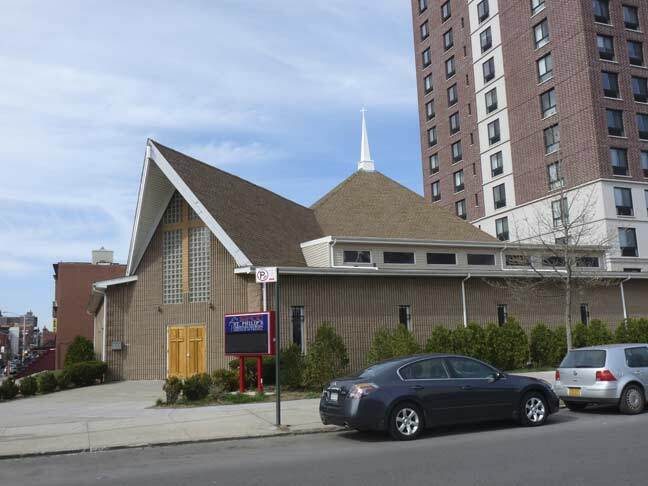 I have shown some very old churches — here is a relatively new one, St. Philip’s Christian Church, at Lafayette and Throop. 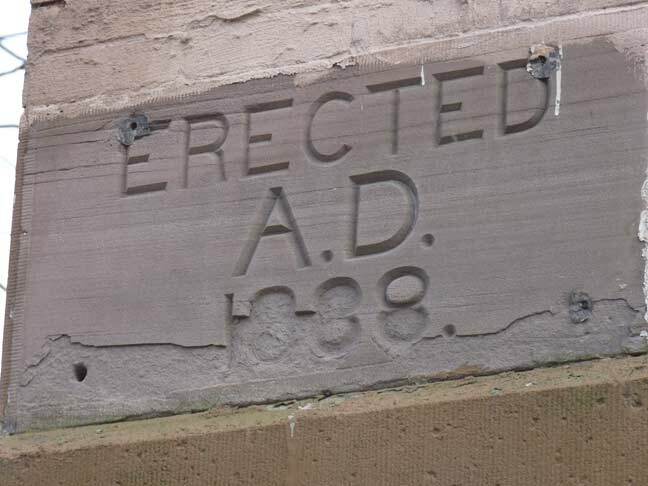 The avenue was named for Congressman Enos T. Throop (1784-1874; originally pronounced “troop,”) a close friend of President Martin Van Buren, who also has a street named for him a block away. 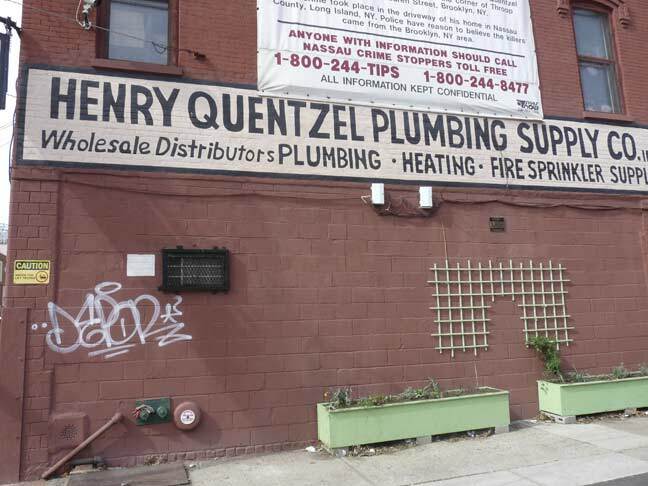 And at Throop and Van Buren, a set of excellent hand-rendered signs for Henry Quentzel Plumbing Supplies. 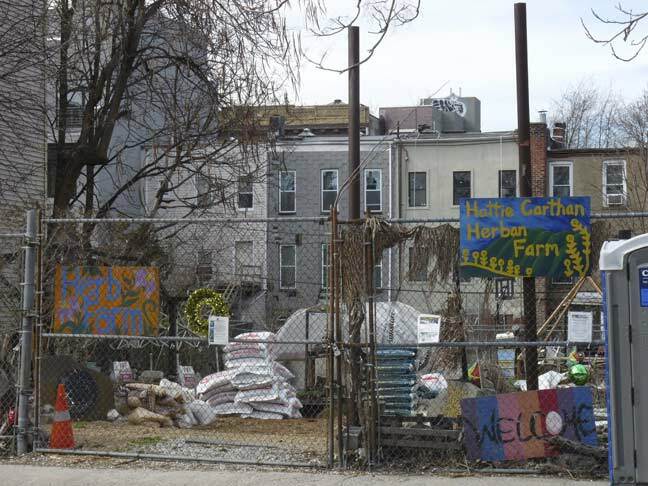 Hattie Carthan “Herban” Farm, Van Buren Street between Throop and Tompkins Avenues, a community farmer’s market, founded by gardener and community organizer Yonette Fleming in 2008. Fresh produce and eggs are available in general on Saturdays here from 9AM to 3PM. Remember the name Hattie Carthan– it will come up again soon. 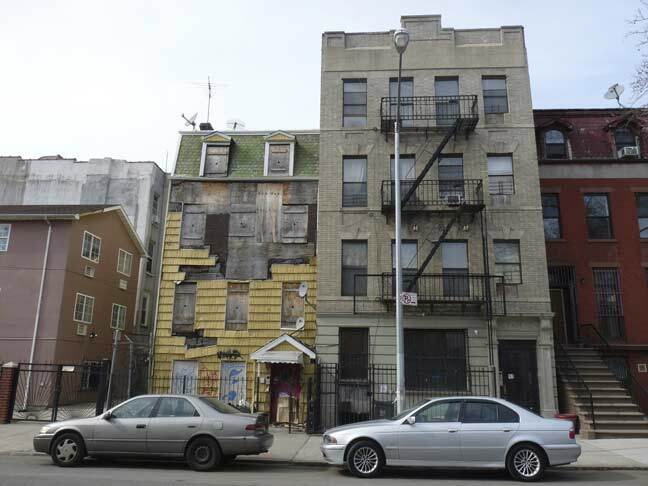 At #13 Van Buren Street, off Tompkins, is a century-plus year-old house that has seen better days. 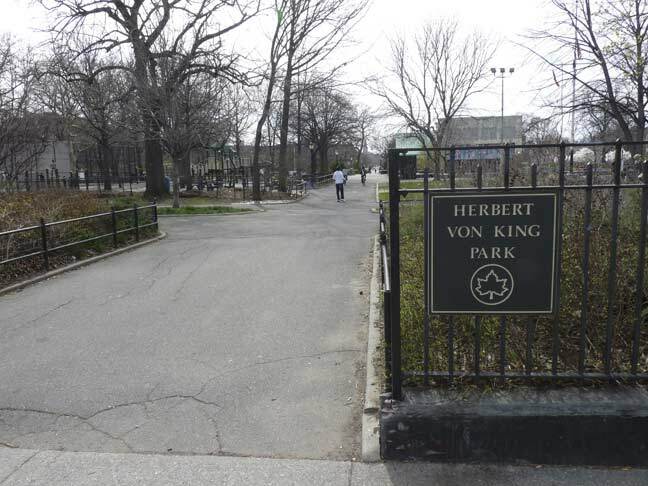 The apartment building next door, #15 is called the Park View, because…. Van Buren Street begins (oddly, #12 is the lowest house number) at Tompkins Avenue and Von King, a.k.a., Tompkins Park. 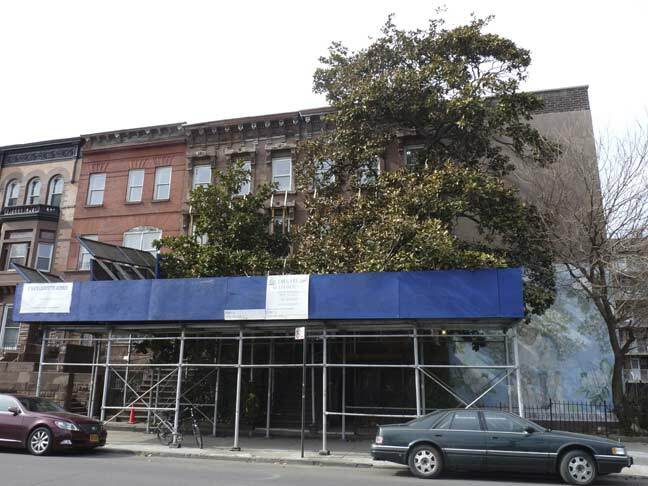 On Lafayette Avenue between Tompkins and Marcy, bordering the park, is one of two living things ever to become a NYC Landmark — a magnolia grandiflora tree planted in 1887, brought from North Carolina. The upkeep of the tree and the environmental center adjacent to it came from an idea by neighborhood activist Hattie Carthan in 1969. This variety of magnolia is usually found only in the deep South. 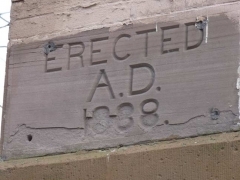 I imagine whoever is renovating the building [as of May 2015] knows they have a landmark in their care and will take proper precautions not to damage it. 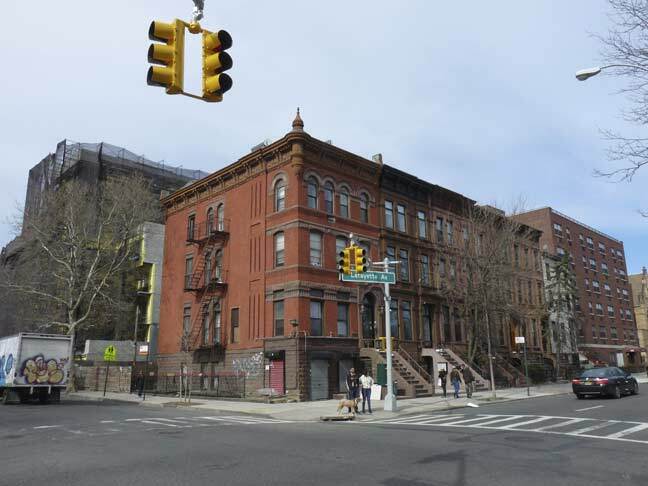 By the 1890s architecture was edging into the Beaux Arts era, and embellishments like this corner turret were being added to even the most modest of residential buildings (these days it’s unheard of as an added cost). In NYC there’s the occasional practice of shoving a street’s extra name onto the same sign with the established name, making both hard to read (probably the most egregious example is Jewel Avenue/Harry Von Arsdale, Jr. Avenue in Flushing). 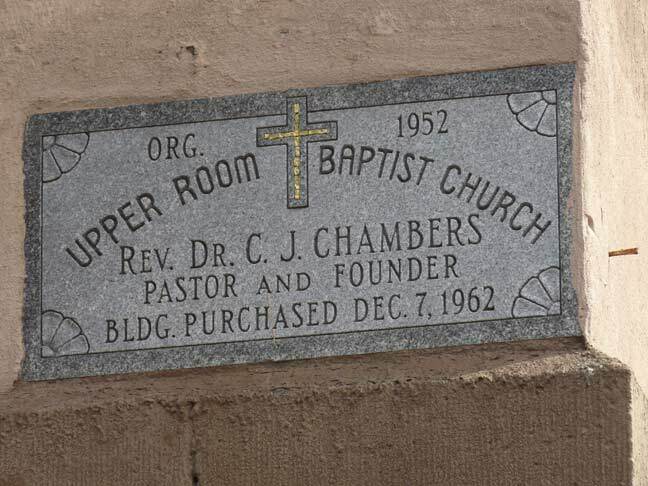 Dr. Gardner C. Taylor (1918-2015) was the longtime pastor of Brooklyn’s Concord Baptist Church of Christ, during which time he co-founded the Progressive National Baptist Convention with Martin Luther King Jr. 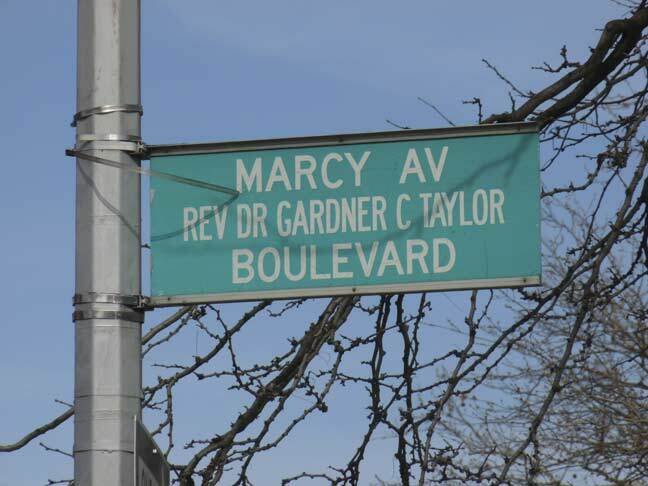 Unusually, Dr. Taylor had the street named for him while he was still alive. 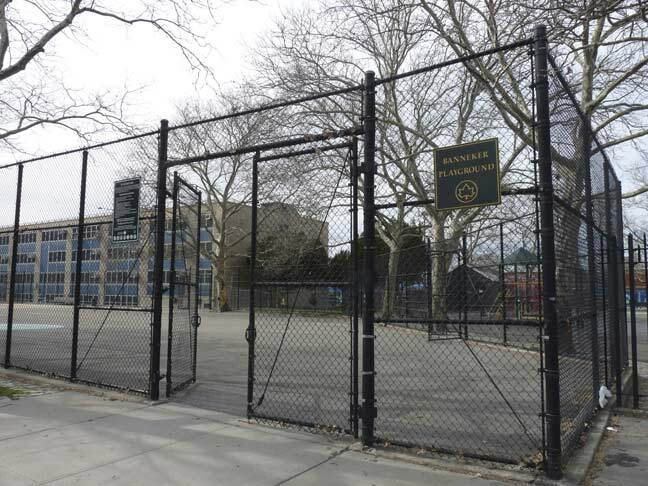 Banneker Playground, at the same intersection, is named for colonial-era scientist, astronomer and inventor Benjamin Banneker (1731-1806). 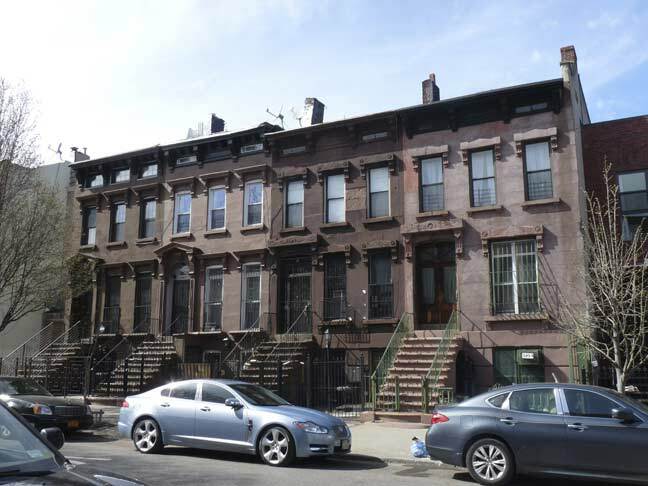 610 and 612 Lafayette, between Nostrand and Marcy, are longtime Italianate survivors that appear to date back to the 1850s. 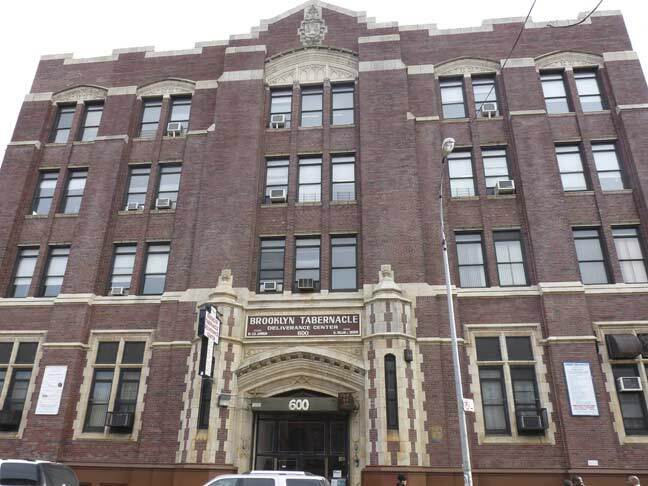 Next door at #600 Lafayette Avenue is the massive Brooklyn Tabernacle Deliverance Center church, which was built in 1928 as the Brooklyn College of Pharmacy. 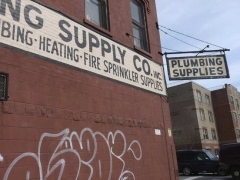 It’s an appropriate location, as this is a few blocks south of the former Pfizer pharmaceutical offices and factories on Flushing Avenue. The school was founded in 1886 and moved around a bit in its early years. 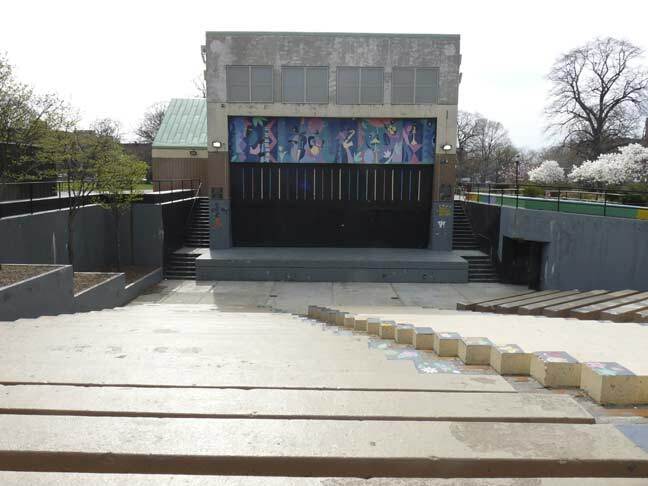 (A bit further on we will see one of its former locations.) 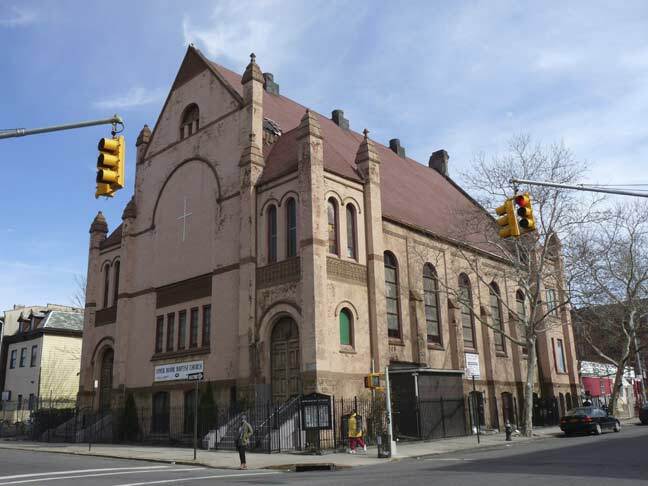 The school moved to the Long Island University campus in 1976 and the building stood mostly empty, except for some basement apartments, till 1981, when it was purchased by the church. A ‘pestle with a vessel’ motif remains at the roof. 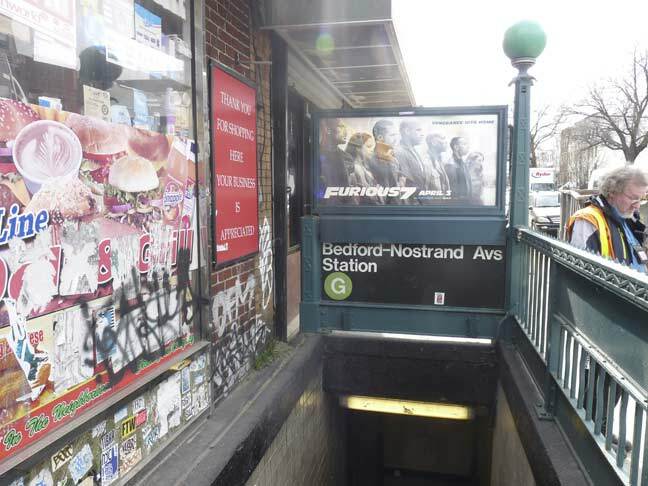 The dogs are barking after almost 10 hours and the subway is in sight at Lafayette and Nostrand. But before retiring for the day there’s one more building to see. 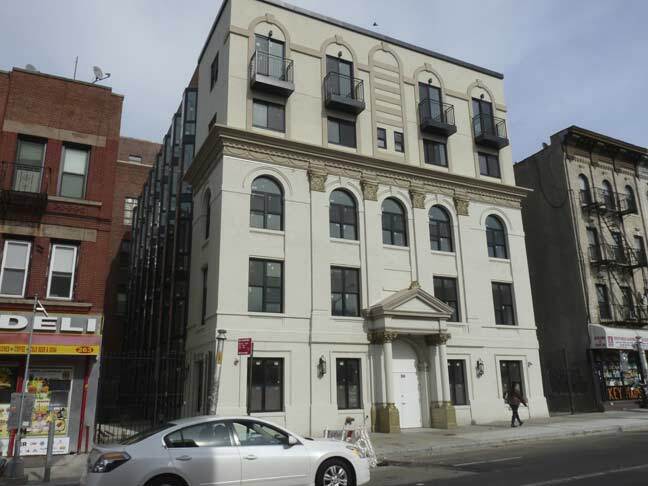 This is a building that housed the Brooklyn College of Pharmacy at 265 Nostrand between 1903 and 1929, when it moved into its huge new premises around the corner. Its last use was also as a church. Once again, Montrose has the scoop in detail. … where I found a surprise. 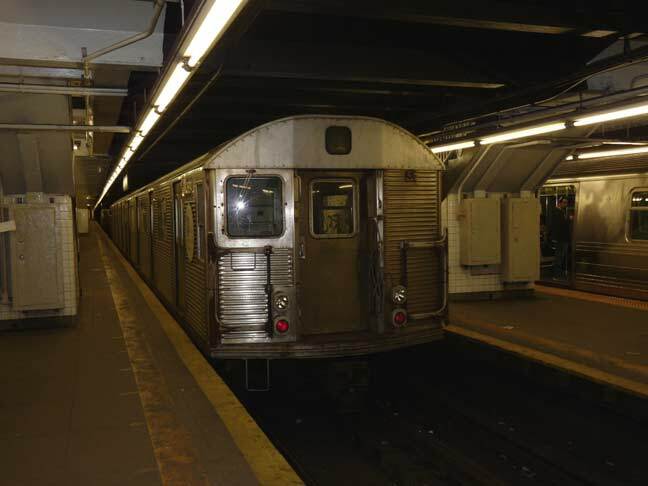 I had seen R-32 cars on the G line before, but not lately, but I spotted a familiar corrugated streel exterior on the center platform, car No. 3694. 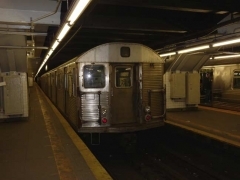 The most venerable subway car still in active service [May 2015] they were built by the Budd Company, which merged with Thyssen in 1978. 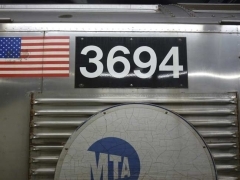 All cars went into service in 1964, the same year the World’s Fair and Shea Stadium opened and the Beatles arrives in America. 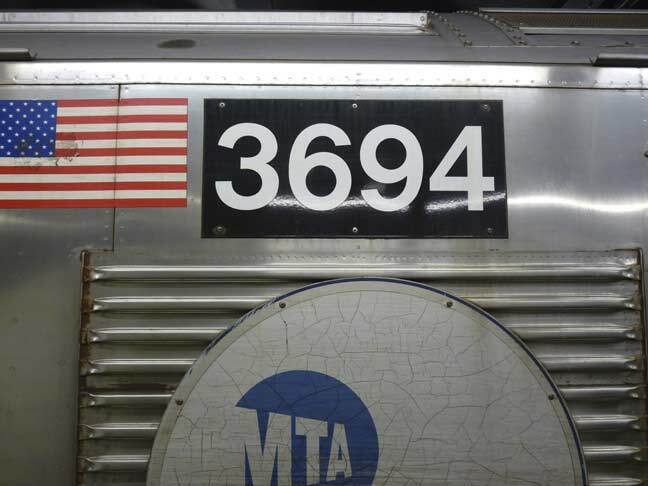 3694 is one of a number of R-32s in service on work trains.